The AET and CAVA combination course has been designed to deliver a package to anyone that wishes to become qualified at entry level in education and training and be able to assess vocational achievement. This qualification is ideal for anyone looking to work in an environment where they will be assessing NVQ or BTEC qualifications in a field of their expertise. Start today for only £99 deposit. A favourite follow on course for those completing our Assessor qualifications. This course is delivered like all of our courses with professional support and tuition. This qualification is intended for learners wanting to undertake training or to further develop their knowledge and skills in this subject area. The objectives of the qualification include supporting a role in the workplace and meeting relevant programmes of learning. We will provide you with full support all the way. Deposit of £99 will get you up and running straight away. Start you The Level 3 Award in Understanding the Principles and Practices of Assessment today confidence using our online learning platform. Develop the knowledge required by an assessor. Learners must achieve 3 credits from one mandatory unit to be awarded the Level 3 Award in Understanding the Principles and Practices of Assessment. This is the first unit of the CAVA. This will give you the knowledge of the principals and practices of assessment. With just a deposit of £99 you can be registered and studying within 24 hours. Delivered with excellent resources from the CMI and full tutor support you can start your course today. Delivered via our online portal this course is excellent for those that work on the move. This Diploma can be completed as a Distance Learning course. It is ideal for those who want to gain a fully comprehensive bank of the skills and knowledge required to be a manager as part of an organisation, as well as the ability to apply your learning in the context of another organisation or industry sector.– a great Diploma to start your management journey! Just £100 deposit with an interest free payment plan. This Diploma can be completed as a Distance Learning course. It is ideal for those who would like to be offered the full suite of competencies required to enable them to become the manager they need to be, both for their own professional development and to benefit their organisation long term – a great Diploma to progress in your junior management journey! Delivered with excellent resources from the CMI and full tutor support you can start your course today with a deposit of only £100.00. Delivered with excellent resources from the CMI and full tutor support you can start your course today. Delivered via our online portal this course is excellent for those that work on the move. This Award can be completed as a Distance Learning course. It is ideal for those who want to develop their knowledge and focus on the key skills required in management and leadership at a junior management level – a great unit to start your junior management journey! Get enrolled today for a deposit of £100.00. Students may wish to choose the AAT Advanced Certificate in Bookkeeping to focus solely on developing their bookkeeping skills in order to progress quickly to employment or to focus on becoming a bookkeeper. Full tutor support and access to our online portal will help you prepare with confidence. Get started today with a deposit of £99. The AAT Foundation Certificate in Bookkeeping provides an entry point for anyone wishing to start a career in accountancy or finance. It may also support career progression for those already in employment by formally recognising their skills in manual bookkeeping. Manual bookkeeping underpins all accountancy and finance roles. Studying the AAT Foundation Certificate in Bookkeeping helps students to develop a strong foundation of bookkeeping knowledge and skills needed to work in accountancy and finance or to go on to study higher-level bookkeeping or accountancy. Students completing this qualification will be able to confidently carry out typical bookkeeping transactions and tasks. Full tutor support and access to our online portal will help you prepare with confidence. Get started today with a deposit of £99. This course will suit you if you’ve completed the foundation accounting qualifications and would like to build your skills. The course is also ideal if your already working in finance and would like a formal recognition of your skills or if you are looking to go on to be an AAT full member (MAAT)/achieve chartered status. Full tutor support and access to our online portal will help you prepare with confidence. Get started today with a deposit of £99. With us you get superb digital interactive learning resources, a free Sage Computerised Accounting Level 2 qualification with tutor support and marked mock assessments all for £699 inc Vat. Study with us and qualify for 2 FREE exams if taken at the BBE Training Centre. Get started today with a deposit of £99. Complete your Level 3 Certificate in Supporting Teaching and Learning in Schools with a deposit of £99. You can complete this excellent qualification through studying our easy to follow work book. we provide all the resources that you need in our purpose built learning platform. Study from the comfort of your own home alongside your portfolio of evidence in the classroom and complete your Award Level 3 with the minimum of fuss. Complete your Level 3 Award in Supporting Teaching and Learning in Schools with a deposit of £99. You can complete this excellent qualification through studying our easy to follow work book. we provide all the resources that you need in our purpose built learning platform. Study from the comfort of your own home and complete your Award Level 3 with the minimum of fuss. An off-the-peg solution is not always the right one, many of our customers find in-company” or “dedicated” training programmes work ideal. This cost-effective delivery method gives the customer ability to choose their preferred course delivery date and location. We work together to identify training needs and develop an appropriate solution. This course is suitable for people who have already studied a level two course or who have used Sage for a number of years and are experienced users. The course covers the more advanced functions in accountancy of VAT returns and the government gateway, cash flow management, advanced credit control and final accounts for sole traders, charities, limited companies and partnerships. Delivered via the SAGE learning platform. Study from anywhere anytime. Get started today for only £180. This course is suitable for people who understand the basics of the processes involved in keeping books and financial records. Delivered via the SAGE learning platform. Study from anywhere anytime. Get started today for only £130. Aimed at those who are new to accounting and bookkeeping, this course provides the perfect starting point to learn how to carry out various finance and administration duties using computerised accounting software. Delivered via the SAGE learning platform. Study from anywhere anytime. Get started today for only £99. Study this online qualification today. The Level 2 Award In Safeguarding and Protecting Children and Young People (QCF) provides learners with the opportunity to develop knowledge and understanding of how to safeguard and protect children, young people and practitioners in the workplace and how to respond to evidence or concerns that a child or young person has been abused. only £118.80 discounts available for group bookings. Start this easy to follow online course today. The Level 2 Award in Equality and Diversity (QCF) develops learners’ knowledge and understanding of diversity and an appreciation of its value to society; stereotyping and the underlying assumptions and generalisations; the concept of equal opportunities and how to recognise positive approaches that promote equality and diversity. Study from anywhere via our online learning platform app.Only £118.80 per person with discounts available for group bookings. With a 99% Pass Rate BBE's dedicated tutors support you throughout your studies. The only Chartered Management awarding body in the UK. Register & start with us today. Study from our range of professional accredited courses in Education, Training & Assessing. 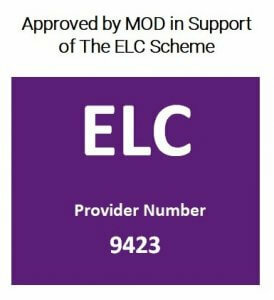 A purpose built dedicated learning platform, payment plans and dedicated tutor support is why we are the choice of many businesses. We get to know you and your individual needs. Need to talk to us about training? Request a Callback and we will contact you within 24 working hours! Why wait to go to college in September when you can start one of our courses on any day of the year for a deposit starting from £99. Enjoy the flexibility of studying when you want to. Start any course with an interest free payment plan. Simply add to basket and check out. We will do the rest. Want to see how easy it is to book a course or how simple our online training courses are? Click here to find out more. Alternatively, you can speak directly to one of our course delivery experts on 01933 233888. Our experts will advise you on the best course for you. We are the provider of choice for NHS trusts, Police and other blue light services as well as the care sector. We believe in simply providing quality products and services with excellent customer support. We offer a choice of either online, distance learning, blended or classroom at either one of our centres or at your place of work. We have Centres all over the UK including London to cater for your needs. Study any course from home. A bespoke delivery that suits you. Some qualifications can be delivered purely online. As a great believer in giving excellent customer Service – Sophie enjoys managing the Student Support team for BBE. 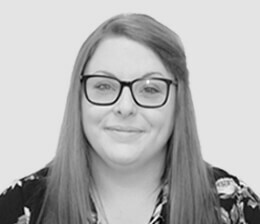 Hayley Rose (Rosie) - enjoys managing the finances as our Citrus Group Assistant Finance Manager. 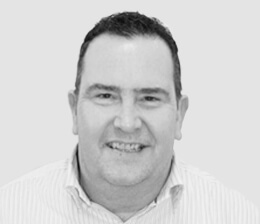 Being the process driven founding member of the team, Phil ensures that the quality of service is continuously recognised as excellent by all of our awarding organisations. With a strong back ground in mental health, Sian supports our Students throughout their studies ensuring that everyone is treated as an individual. 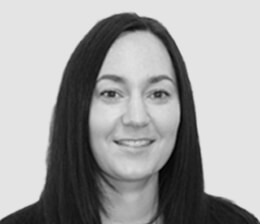 Sian is also highly qualified in Quality Assurance and has a wealth of experience in ensuring all of our records are compliant. 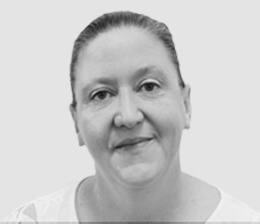 With over 10 years in the training industry, Vicki’s core strength is identifying her client’s requirements, analysing them and creating a tailored solution. 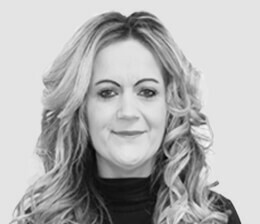 With her bright and bubbly personality Vicki is keen to support the growth of BBE. Feedback is very important to us. Here are some of our customer’s testimonials. "I really enjoyed the course, and think it will be a great help in my role as an in-house trainer, thanks to you and all the team at BBE for the great support!" "Thanks for all your help and patience with this course. I am hoping to book on to the CET soon, I would definitely come back to BBE." We are committed to giving all of our customer’s true flexibility when it comes to studying. We always invest time at the beginning of a delivery to find out what’s best for you. We want to understand your needs. We will discuss this with you and recommend a delivery structure that works for you. You will receive dedicated tutor support from Industry fully qualified professionals with a wealth of experience.